Happy and eventful New Year to everyone. At the Institute for Progressive Medicine we were involved in a number of new protocols this last year. 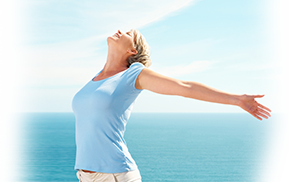 We began using ozone therapy, with excellent results in several areas. Ozone is a gas, produced in a generator through the activation of oxygen. It is highly effective at killing bacteria, fungi and viruses. It can be applied to the skin in olive or neem oil to heal skin infections including herpes and shingles, to improve acne, and to suppress onychomycosis, or toenail fungus. It can help to heal mouthsores and skin ulcers. Ozone may be infused intravenously in saline to treat infections such as bronchitis or pneumonia, or to improve chronic fatigue syndrome, fibromyalgia, and immune disorders such as rheumatoid arthritis by enhancing immune function. Research performed in Cuba documents improvements in macular degeneration and other eye disorders with intravenous therapy. Ozone can also be given by enema to heal intestinal inflammatory disorders, such as Crohns disease and ulcerative colitis. This last year we have been using ozone as a component of injections for treating joint, ligament and muscle injuries and degeneration, including osteoarthritis. It can be given in the same injection with prolotherapy, which is a combination of glucose and procaine, use for many years as an alternative treatment for joint, muscle and tendon problems . This combination, called prolozone, can be injected into shoulders, hips, knees, lower backs, necks and forearms, and almost all other affected jonts. Injections may be given every two weeks. Prolozone works to strengthen tissue while reducing pain, sometimes avoiding the need for surgery. 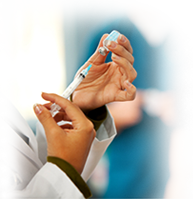 We also have a new technique for injecting platelet rich plasma, or PRP, along with prolozone, to provide even more effective healing. Platelet rich plasma is extracted from a patients blood and injected into affected areas. Platelets contain powerful growth factors that stimulate the healing process. These injections can be applied as part of a comprehensive treatment program along with physical therapy, chiropractic, massage and acupuncture, and therapeutic exercises like Pilates, yoga or tai chi, to promote healing without the need for surgery. Call our office to discuss whether this therapy may be appropriate for you. Depression, anxiety, and many other emotional disorders are affected by imbalances of hormones, mainly serotonin and dopamine, which regulate the central nervous system. Conventional medicine offers drugs that block the reuptake of these hormones, thought to enhance their activity. However, these drugs have often serious side effects and may even make people feel worse. Withdrawal from these drugs can be very difficult. Instead we offer basic amino acid therapies, using 5-hydroxytryptophan, a precursor of serotonin, and L-tyrosine, the precursor of dopamine, in combination to enhance production of both groups of neurotransmitters. We measure urine levels of these compounds to adjust dosages and establish a balance between them. These amino acids have helped many patients get off psychiatric drugs, and helped others withdraw from recreational drugs. Our protocol was devised by Marty Hinz, MD, who has written articles on the; subject, available on his website (www.hinzmd.com). Other medical conditions, including Parkinsons disease and Crohns disease, can respond to this protocol, sometimes without the need for medications. We continue to witness the benefits of lifestyle changes along with external counterpulsation therapy (EECP) in the treatment of heart disease, including chest pain and congestive heart failure. People who would otherwise require cardiac catheterization and stent placement, or even cardiac bypass surgery, have been able to eliminate symptoms of chest pain and shortness of breath. Cardiac stress testing documents reversal of circulation defects.. Age is no contraindication to therapy. A recent successful patient was over 90 years old. 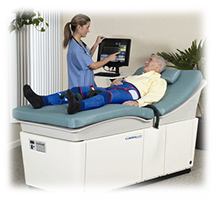 EECP involves placement of inflatable cuffs on the legs and pelvis, and inflating them with air under high pressure. This generates a flow of blood into cardiac arteries through the aorta, and growth of new vessels. The treatment is non-invasive and safe. Our cardiac dietary program is mainly vegan, aiming to reduce dietary fat intake as much as possible. We have seen blood pressure and cholesterol come down, and diabetes disappear. 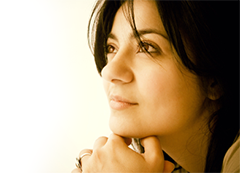 Hundreds of women and men in our practice receive hormone replacement therapy. The benefits continue to be nothing short of amazing for many people, who when they come to see us are not aware that their symptoms are largely a result of hormone deficiency. Many symptoms normally thought to belong to psychiatric problems, aging, or dementia, dissolve when hormones are replenished. If you have a sleeping problem, depression, anxiety, fatigue, memory loss, trouble concentrating, loss of sexual interest or capability, lack of energy, excess abdominal fat, have been under excessive stress, or have been taking psychiatric drugs, recreational drugs or alcohol, or experienced recent physical trauma from an accident or surgery, consider that you may have a hormonal deficiency. Stress can result from hormone deficiency, or may itself cause hormone deficiency by suppressing pituitary function. Some physicians in their ignorance consider hormone replacement therapy to be dangerous, and will not prescribe it, even resorting to antidepressant therapy when the basic problem is hormone deficiency. They subject their patients to the adverse effects of sedatives and antidepressants without addressing the real cause of symptoms. In twenty years of offering bioidentical hormone therapy, I have seen few adverse effects, and they have been far outweighed by the relief provided. Convincing research demonstrates no increased risk of cancer of the breast, uterus, or prostate when bioidentical hormones are properly prescribed. We utilize transdermal creams and gels, sublingual drops and pellets, injections, and subcutaneous pellets, choosing to avoid oral capsules because of negative liver effects on hormonal action. If you have questions about your own hormonal status, call our office to arrange for simple testing. The goal of all our programs is to improve health without the use of drugs or surgery as much as possible. Conventional medicine fails to promote the bodys immense resources for self-healing. Over the years we have helped thousands of people resolve health situations by utilizing lifestyle changes often combined with nutritional supplements, and acting on the results of particular testing, including food allergies, gastrointestinal imbalances, and heavy metals. We also apply intravenous vitamins and minerals, detoxification, acupuncture, chiropractic, and massage. Nothing makes us feel better than to see someone improve, and regain the opportunity to enjoy life.